Video production is becoming a must have for companies of all sizes and for good reason. Video, unlike combines audio and visual multimedia to create a more memorable and emotional experience. Video on the internet doesn’t have to be a daunting task. We’ve been creating video and integrating it with the internet since You Tube first started. For years, PR companies have been suggesting the addition of video with a press release. Many online press release services allow you to upload video to your press release. In this case, you can add any type of video, perhaps a visual that enhances your message. But, consider this as well. Simply take your press release as it is, and send it to a professional video production company and have a spokesperson read it on camera. Send your video production company a few photos, and they’ll be able to produce a much more compelling press release than you could deliver using text and photos. Then, upload your video press release to your website, to youtube.com, to Facebook, and to video sharing sites. A video press release is easy and affordable. There’s no scripting, storyboarding, or location shooting. A video press release can be used any time you create a written press release. But, keep in mind, if your video press release names and involves a lot of people, it’s much more likely to be shared. For instance in the example video press release above, the winner and finalists of a bird photo contest were shown. Those people, since they got recognition, shared the video on their social networks. Find a different point of view when you shoot! No one knows your products better than you. However, nothing is better than a product video shoot to bring out special features of your product that may surprise even you. We always look and create unusual angles, some can be close ups, but always we look for unique points of view. Accentuate particular video angles. We can produce your film or video production in St Louis with the specific gear and people you need for your shoot. Camera operators, sound technicians, gaffers, grips, teleprompter operators, make-up artists, jib and steadycam operators, whatever video services you might require. We will create your video with the best talent and most cost-efficient video production services in the St Louis area. For web video production in St Louis Missouri, call upon St Louis Web Video. St Louis Web Video a full-service web video production company located in St Louis, Missouri. We specialize in the development and delivery of commercial and corporate video production content for the internet. We will develop a script that conveys your company message creatively. We will film your video at your location or in our full service video studio. We will edit your footage creatively and add in graphics where necessary to highlight your message. We will also add in voice over or on-camera talent and select the most appropriate music to enhance the mood of your message. web video production st louis. st louis corporate web video. 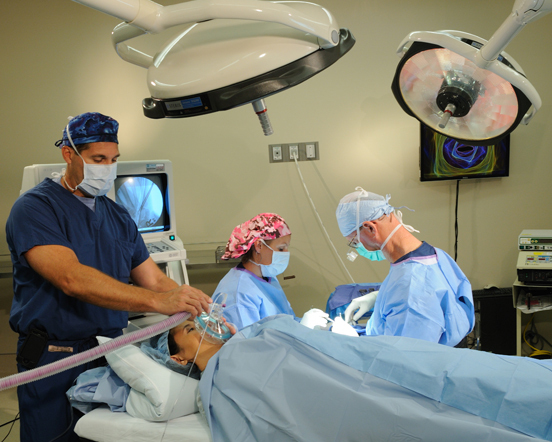 This image was from a series of medical and health videos produced for a surgical center in st louis, missouri. We videotaped on location and edited in high definition. Videos were created for corporate advertising and marketing as well as for staff training. Final video distribution was deliverd by DVD, streaming and the internet. St louis web video is your st louis video production crew source for High Definition web video production. We specialize in content creation, and providing video, television, film, broadcast commercial and music video production services. Our in house video production crews come fully equipped to produce your web video production from start to finish. Video production gives you the control to create and deliver a message to segmented audiences and on your website. Quality web video production will strengthen your web site search results. There is no denying the power of video in today’s world to educate, influence, and empower. Video is all around us. The most successful companies understand they need to connect with their customers and employees through video and a dynamic online presence. We offer complete multi-media package solutions that will unleash the power of video to work for you. St Louis Video Production from St. Louis Video Production on Vimeo.